Watercolor painting kit contains one 12 color set of fine quality watercolor paints and paint brush, 6 pages to paint, pre-printed with images on fine quality 140 lb weight watercolor paper, extra paper for practice, tips. 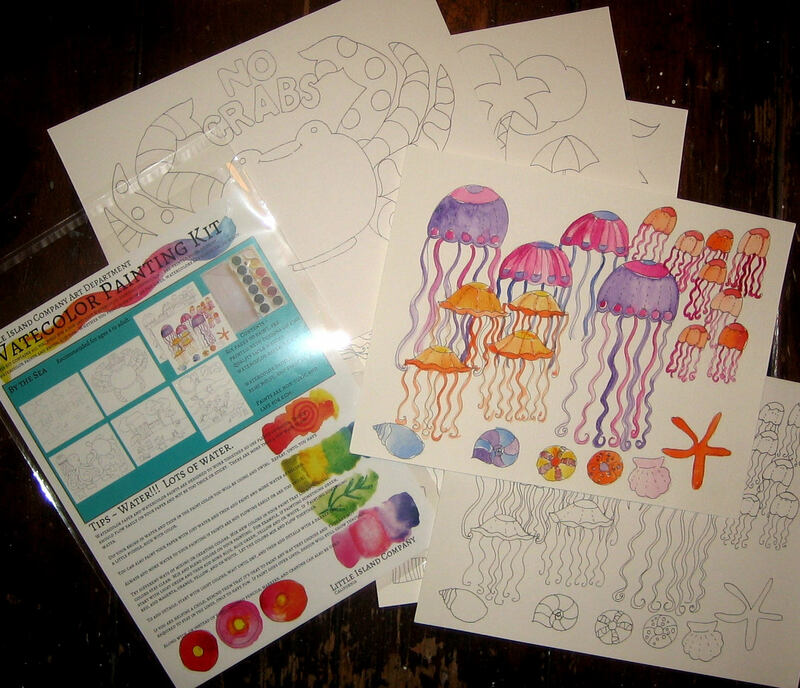 Pages to paint in this set are about the beach and ocean and include, a large crab, jelly fish, and beach scenes. 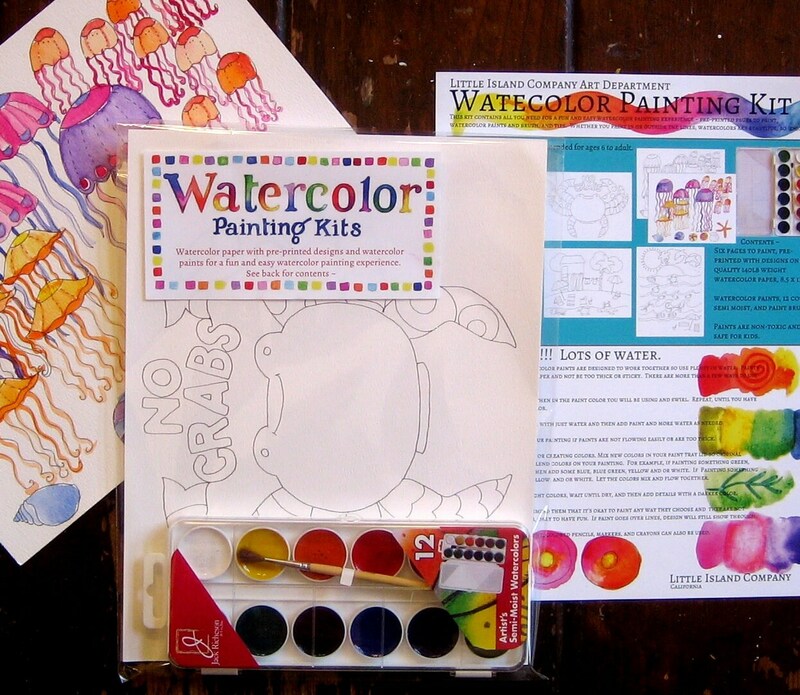 Fun for adults and kids (around age 5), Paints are safe and non toxic.